Fall is definitely coming and way too fast! It's quite easy to tell. The hints are hard to miss. 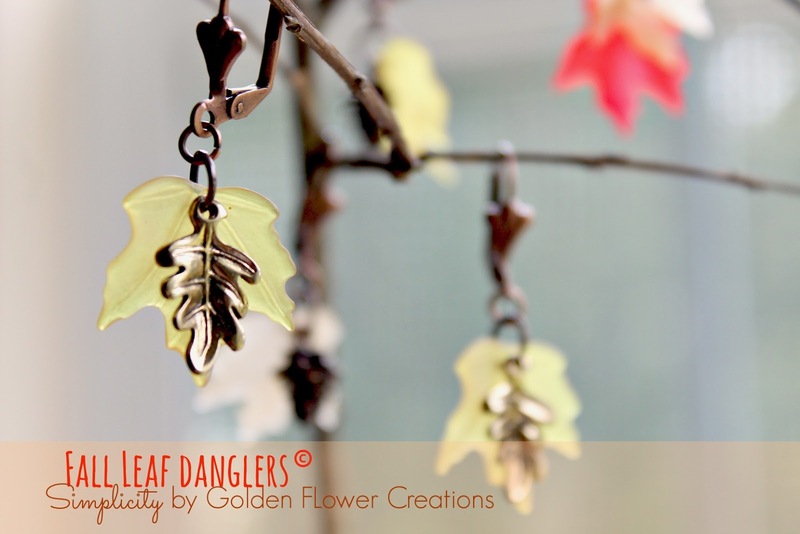 Colors of the leaves starts changing, like burst of fun colors that only Fall can create. I love these annual colorful display and it's always been an inspiration for some of my creative work at Golden Flower Creations. 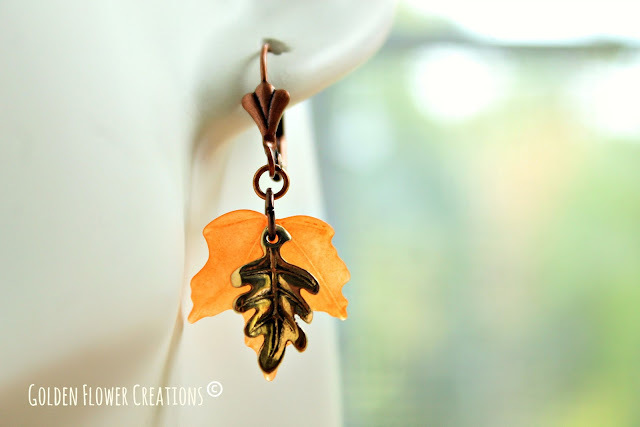 The same inspiration used in creating these trendy, flirty and Fall-ish danglers! Check the rest of the collections and help yourself with one, or two. This set pictured above is my favorite. 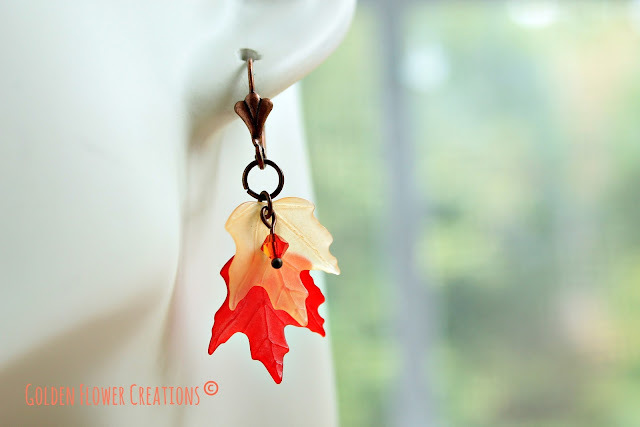 It is partnered with a Czech glass Maple leaf in yellow and orange colors. 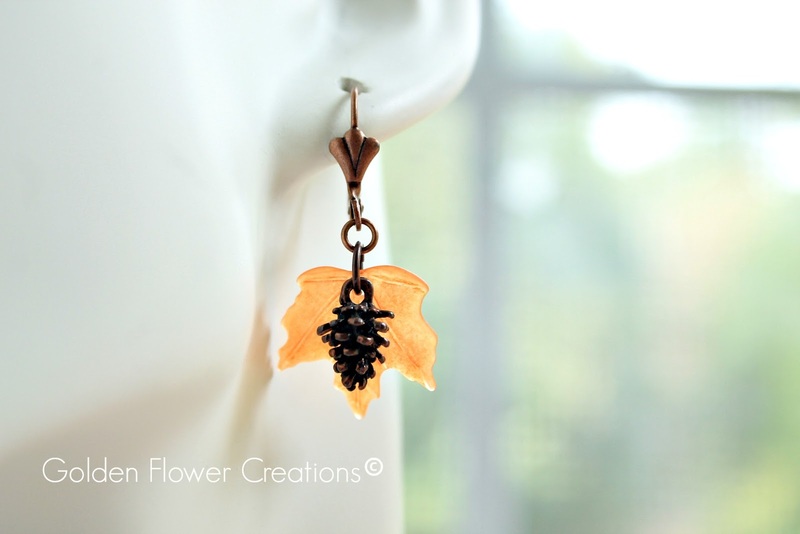 Accentuated with a brass burnished brown pine cones that hung on copper kidney earwires and measures 1 1/2 inch tip to tip.